Summer is upon us. You can smell the sunscreen in the air and you can hear the summer tunes and the sounds of people gathering, laughing and relaxing in the sun. This summer scene seems nice, but it can all melt away when you look at your own backyard and see some tired, uncomfortable outdoor furniture and a garden that is completely unsuitable for entertaining. It’s not the best feeling and you certainly don’t want to waste all this beautiful weather by staying indoors! Now is the time to get cracking and spruce up your tired outdoor area. It doesn’t need to be a daunting task. 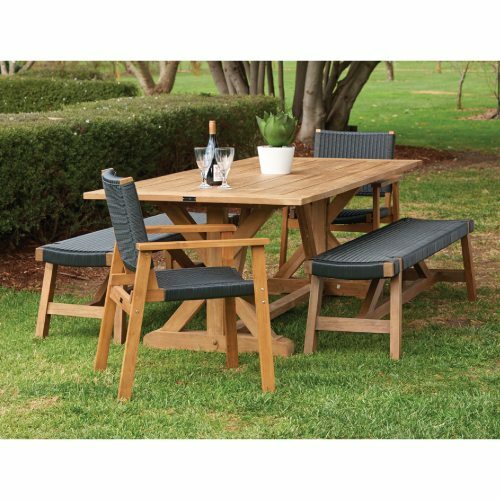 At Heat & Grill based in Richmond, we have the perfect assortment of outdoor furniture, outdoor accessories and barbeques to create the outdoor area you’ve always dreamed of. Tired outdoor settings are pretty uninviting, so investing in one that will last in the long run is crucial. White settings can look really fresh and there’s also timber or wicker for a natural homely look! A great outdoor setting will keep people coming to indulge in your barbeques time and time again. This is one of the easiest ways to brighten up your outdoor space. A good, durable umbrella will brighten up your area and invite visitors to come and lounge out underneath it in the shade, enjoying good food and good company. What about a Comfy Lounge or Chair? A good talking piece is that ultimate comfy chair or lounge in your outdoor space. Hanging chairs and sun loungers are basically the perfect spots to curl up with a book all day or just to offer a cool space for your friends to hang out. You won’t regret dressing that chair or sunlounger with plenty of cushions – the brighter the better. The print is back and it gives a delightful look to space, seamlessly integrating indoors with your outdoor oasis. There are some pretty awesome outdoor bars around these days. Team it up with a mini fridge, some bar stools and a table and you’ll find everyone’s coming to your house instead of seeking out a beer garden somewhere else. Spruce up your outdoor space this summer by making sure you have the most innovative, budget-friendly BBQ products along with stylish and comfortable outdoor furniture, cushions and accessories. To get the best outdoor products contact the team at Heat & Grill in Richmond. With a wide range of barbeques Melbourne, smokers, grills, furniture and more we can make your outside entertaining and cooking area refreshing and inviting! Talk to us today.